The good news is that there are just a few kinds of cacti that have glochids: prickly pears and cholla. 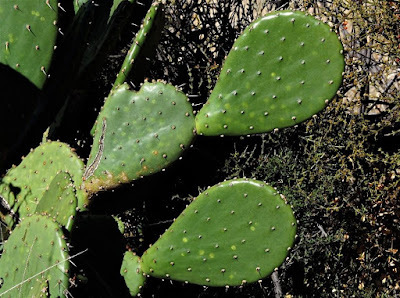 The bad news is that there are a lot of prickly pears and cholla out there. 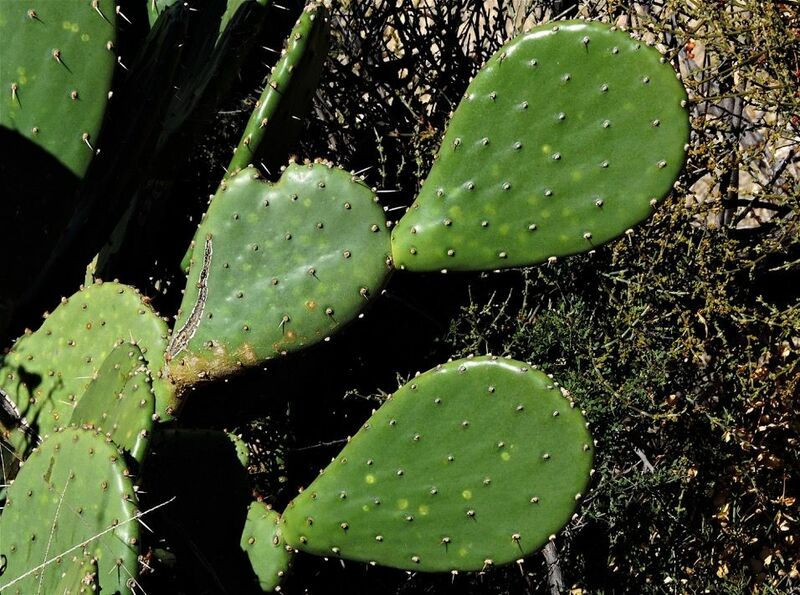 The worse news is that even the most effective means of removing glochids from your skin are about 95 percent effective, meaning five percent of those glochids remain. And the damn things hurt a lot more than their size would indicate, causing pangs from annoying to excruciating when you rub that patch of skin the wrong way. Much more on glochid removal at that link above! 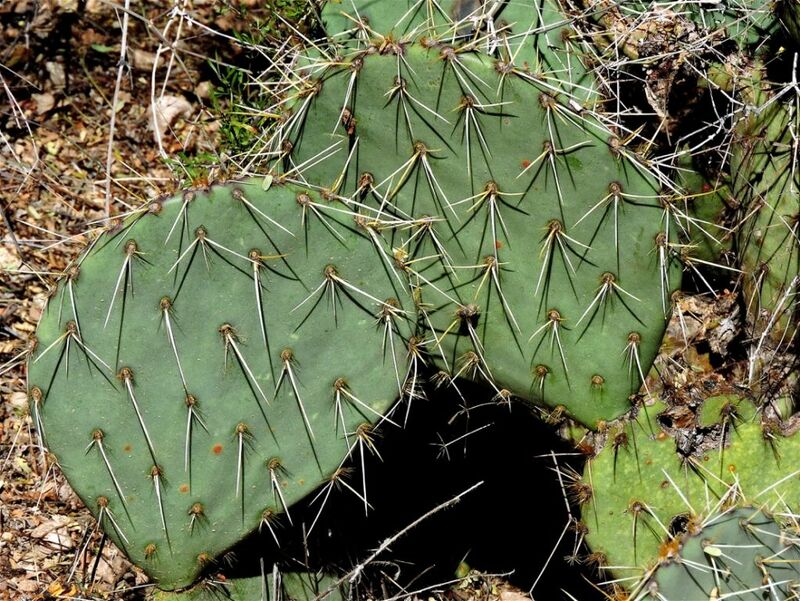 This species is much more common in Sabino Canyon, Engelmann Prickly Pear (Opuntia engelmannii var engelmannii). You don't want to hug this one, either!